Palm Coast. Checking commercial A/C for a hotel that’s not cooling. Palm Coast. 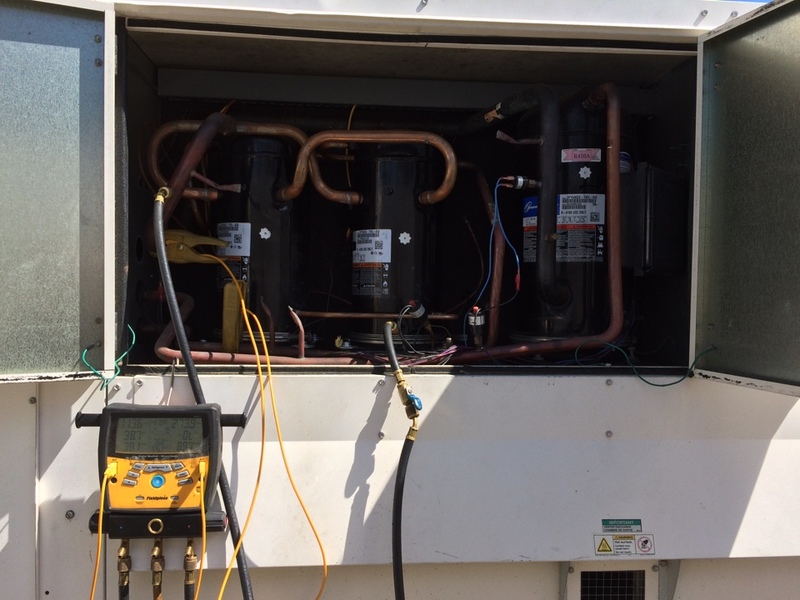 Repaired leaking condenser coil on a 25 ton industrial Reznor unit. Recharged with R410a, system is now cooling properly.